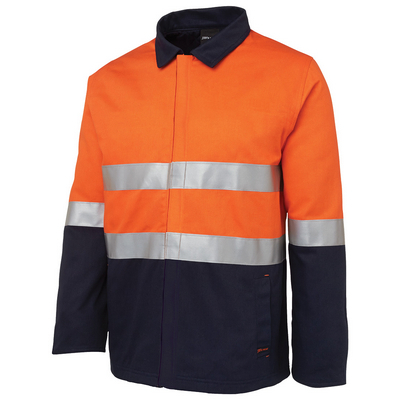 Offering shower protection and warmth, this jacket is a great choice for working outdoors or getting to-and-from sites. Cut to a classic fit. Features: Shower Proof, Embroidery Zip. A practical outer layer. 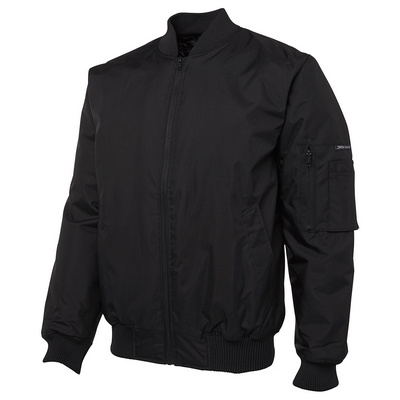 Detais: 100% Polyester 300 D shell with PU coating, Waterproof rating to 3000mm, Taffeta quilted lining with poly fill, Two front side pockets and one internal chest pocket, Sleeve pocket with two pen inserts, Vislon zipper. Colours: Black | Navy. Sizes: S | M | L | XL | 2XL | 3XL | 4XL | 5XL | 6/7XL. 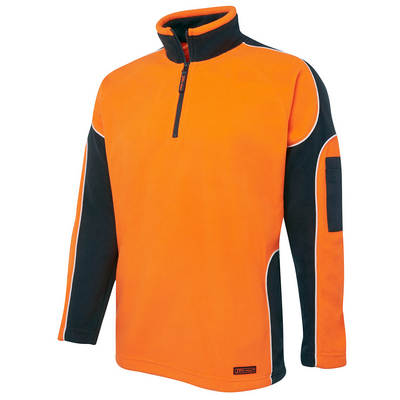 Suitable for everyday comfort and warmth, this classic fit pullover features a half-zip contrast collar with Hi Vis edge. Features: Australian Standards Day 2010 2011. Work in comfort. Detais: 100% Polyester for durability, 280 gsm low pill polar fleece, Complies with Standards AS/NZS 1906. 4:2010 and AS/NZS 4602. 1:2011 Day Only, Contrast shoulder, sleeve and bottom side panels, Contrast piping insert at panel seams, Two inseam side pockets and pen pocket on sleeve, Adjustable bottom hem, Easy care fabric. Colours: Lime/Navy | Orange/Navy. Sizes: S | M | L | XL | 2XL | 3XL | 4XL | 5XL. Enjoy the comfort and warmth of this classic fit design, perfect to throw over your JBs arm tape polo. Features: Australian Standards Day 2010 2011. Added warmth. 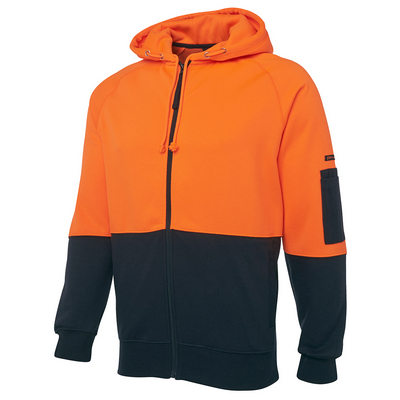 Detais: 100% Polyester for durability, 280gsm low pill Polar Fleece, Complies with Standards AS/NZS 1906. 4:2010 and AS/NZS 4602. 1:2011 Day only, Contrast collar, side and sleeve panels, Contrast pen pocket on sleeve, Silver tape and piping design, Two side pockets, Easy care fabric. Colours: Lime/Navy | Orange/Navy. Sizes: S | M | L | XL | 2XL | 3XL | 4XL | 5XL. Stand out with this piping style classic fit polo featuring contrast side, sleeve and back panels with piping, plus double collar stripes. Features: Australian Standards Day 2010 2011, JB’s Dri, UPF Compliant, UPF Sun Protection. Piping Style. Detais: 100% Polyester for durability, 160gsm micro mesh fabric, JB’s Dri™ moisture wicking fabric designed to help keep you cool and dry, Complies with Standard AS/NZS 4399:1996 for UPF Protection ( UPF 50+), Complies with Standards AS/NZS 1906. 4:2010 AS/NZS 4602. 1:2011 Day Only, Reinforced chest pocket with pen insert, Straight hem, Easy care fabric, Quick drying. Colours: Lime/Black | Lime/Navy | Orange/Navy. Sizes: S | M | L | XL | 2XL | 3XL | 4XL | 5XL. 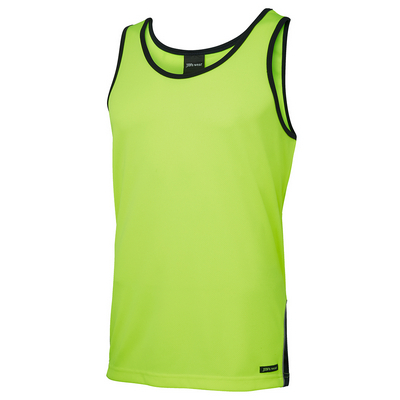 Keep cool and feel fresh in this classic fit Hi Vis singlet, finished with contrast bottom side panels and binding at generous armholes and neck opening. Features: Australian Standards Day 2010 2011, JB’s Dri. Cool and Fresh. Detais: 100% Polyester for durability, 160gsm micro mesh fabric, JB’s Dri™ moisture wicking fabric designed to help keep you cool and dry, Complies with Standard AS/NZS 4399:1996 for UPF Protection, Complies with Standards AS/NZS 1906. 4:2010 AS/NZS 4602. 1:2011 Day Only, Straight hem, Easy care fabric, Quick drying. Colours: Lime/Navy | Orange/Navy. Sizes: XS | S | M | L | XL | 2XL | 3XL | 4XL | 5XL. Enjoy every day comfort and warmth with this classic fit cotton drill quilted jacket. Features: 3M, Australian Standards Day Night 2010 2011. Cotton Comfort. Detais: 100% Cotton drill with cotton lining, Fully Quilted, YKK Vislon zip, Contrast collar, Dirt panel on sleeve and lower body, Concealed chest pocket on right hand side, Two front hand pockets, Internal chest pocket and phone pocket, Complies with Standards AS/NZS 1906. 4:2010 and AS/NZS 4602. 1:2011 Day and Night. Colours: Orange/Navy | Yellow/Navy. Sizes: S | M | L | XL | 2XL | 3XL | 4XL | 5XL. 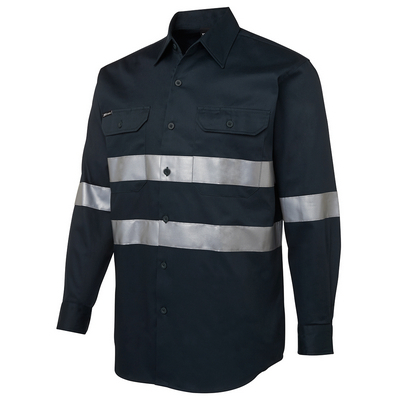 Authentic classic fit work shirt in a solid colour and enhanced with 3M™ reflective tape. Features: 3M, Australian Standards Day Night 2010 2011, UPF Compliant, UPF Sun Protection. A solid choice. 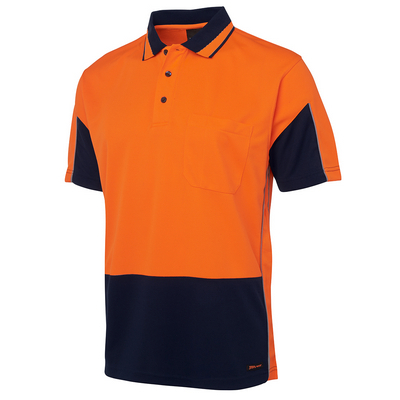 Detais: 100% Cotton for 100% comfort, 190gsm double pre-shrunk drill, Orange shirt complies with Standards AS/NZS 1906. 4:2010 and AS/NZS 4602. 1:2011 Day and Night, Navy and Green shirt comply with Standard AS/NZS4602. 1:2011 Night Only, Two-piece collar, Two front pockets with button-down flaps and pen insert, Curved hem with back tail styling, All pressure points bar tacked for extra strength and durability. Colours: Green | Navy | Orange. Sizes: XS | S | M | L | XL | 2XL | 3XL | 4XL | 5XL | 6/7XL. 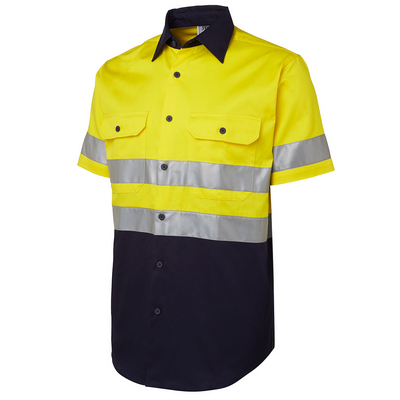 An easy-to-wear, classic fit button-down shirt with 3M™ reflective tape for enhanced visibilityFeatures: 3M, Australian Standards Day and Night, UPF Compliant, UPF Sun Protection. Constructed for safety. Detais: 100% Cotton for 100% comfort, 190gsm double pre-shrunk drill, Complies with Standard AS/NZS 4399:1996 for UPF Protection (UPF 50+), Complies with Standards AS/NZS 1906. 4:2010 and AS/NZS 4602. 1:2011 Day and Night, All pressure points bar tacked for extra strength and durability, Two front pockets with button-down flaps and pen insert, Curved hem with back tail styling, Two-piece collar. Colours: Orange/Navy | Yellow/Green | Yellow/Navy. Sizes: XS | S | M | L | XL | 2XL | 3XL | 4XL | 5XL | 6/7XL. 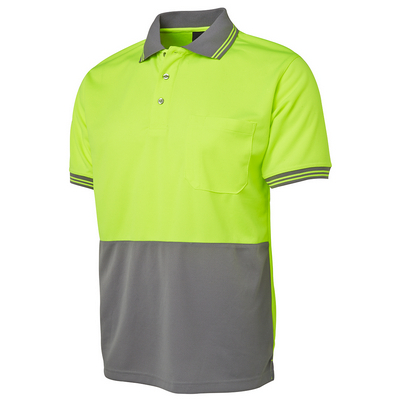 This comfortable classic fit polo boasts your favourite Hi Vis features, including 3M™ reflective tape, and contrast striped collar and front panel. Features: 3M, Australian Standards Day Night 2010 2011, JB’s Dri, UPF Compliant, UPF Sun Protection. Day and night safety. Detais: 55% Cotton for comfort, and 45% Polyester for durability, 170gsm cotton backed fabric, JB’s Dri™ moisture wicking fabric designed to help keep you cool and dry, Complies with Standard AS/NZS 4399:1996 for UPF Protection (UPF 50+), Complies with Standards AS/NZS 1906. 4:2010 AS/NZS 4602. 1:2011 Day and Night, Easy snip-off stay stitch at welt pocket opening to keep pocket in shape, Straight hem with side splits. Colours: Lime/Navy | Orange/Navy. Sizes: XS | S | M | L | XL | 2XL | 3XL | 4XL | 5XL. Crafted from cotton-backed fabric, this classic fit polo features a contrast striped collar, sleeve cuffs and front panel. Features: Australian Standards Day 2010 2011, JB’s Dri, UPF Compliant, UPF Sun Protection. Comfortable safety polo. Detais: 55% Cotton for comfort, and 45% Polyester for durability, 170gsm Cotton rich micro mesh fabric, JB’s Dri™ moisture wicking fabric designed to help keep you cool and dry, Complies with Standard AS/NZS 4399:1996 for UPF Protection ( UPF 50+), Complies with Standards AS/NZS 1906. 4:2010 AS/NZS 4602. 1:2011 Day Only, Reinforced chest pocket with pen insert, Straight hem with side splits. Colours: Lime/Navy | Orange/Navy. Sizes: XS | S | M | L | XL | 2XL | 3XL | 4XL | 5XL. Crafted from cotton-backed fabric, this classic fit polo features contrast striped collar, sleeve cuffs and front panel. Features: Australian Standards Day 2010 2011, JB’s Dri, UPF Compliant, UPF Sun Protection. Comfortable safety polo. Detais: 55% Cotton for comfort, and 45% Polyester for durability, 170gsm Cotton rich micro mesh fabric, JB’s Dri™ moisture wicking fabric designed to help keep you cool and dry, Complies with Standard AS/NZS 4399:1996 for UPF Protection ( UPF 50+), Complies with Standards AS/NZS 1906. 4:2010 AS/NZS 4602. 1:2011 Day Only, Reinforced chest pocket with pen insert, Straight hem with side splits. Colours: Lime/Bottle | Lime/Navy | Orange/Navy. Sizes: XS | S | M | L | XL | 2XL | 3XL | 4XL | 5XL. The eye-catching spider-design contrast panels that complete this classic fit polo will help you stand out from the crowd. Features: Australian Standards Day 2010 1999, JB’s Dri, UPF Compliant, UPF Sun Protection. Hi Vis raglan. Detais: 100% Polyester in a 160gsm micro mesh fabric for durability, JB’s Dri™ moisture wicking fabric designed to help keep you cool and dry, Complies with Standard AS/NZS 4399:1996 for UPF Protection (UPF 50+), Complies with Standards AS/NZS 4602. 1999 AS/NZS 1906. 4:2010 Day Only, Reinforced chest pocket with pen insert, Straight hem with side splits. Colours: Lime/Black | Lime/Maroon | Lime/Navy | Lime/Purple | Lime/Royal | Orange/Black | Orange/Navy | Orange/Purple. Sizes: XS | S | M | L | XL | 2XL | 3XL | 4XL | 5XL. 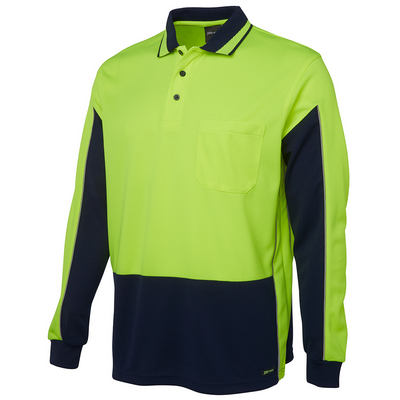 Hi Vis Classic fit button-down shirt wth 3M reflective tape for enhanced visibility. 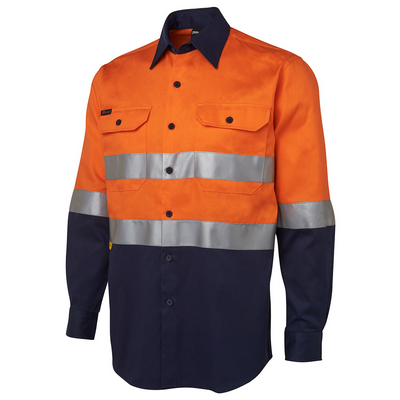 Features: 3M, Australian Standards Day and Night, UPF Compliant, UPF Sun Protection. Classic Safety. Detais: 100% Cotton for 100% comfort, 190gsm double pre-shrunk drill, Complies with Standard AS/NZS 4399:1996 for UPF Protection (UPF 50+), Complies with Standards AS/NZS 1906. 4:2010 and AS/NZS 4602. 1:2011 Day and Night, All pressure points bar tacked for extra strength and durability, Two front pockets with button-down flaps and pen insert, Curved hem with back tail styling, Two-piece collar. Colours: Orange/Navy | Yellow/Navy. Sizes: XS | S | M | L | XL | 2XL | 3XL | 4XL | 5XL | 6/7XL. 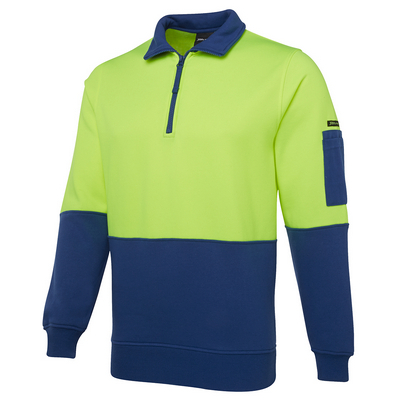 A vibrant classic fit sweater featuring a half-zip collar for added airflow and easy on/offFeatures: Australian Standards Day 2010 2011. Classic cool weather option. Detais: 80% Polyester for durability, and 20% Cotton for comfort, 280gsm fleece fabric, Half-zip collar, Rib basque and cuffs with elastane, Complies with Standards AS/NZS 1906. 4:2010 AS/NZS 4602. 1:2011 Day Only, Front contrast panel, Pen pocket at sleeve, Easy care fabric. Colours: Lime/Black | Lime/Bottle | Lime/Maroon | Lime/Navy | Lime/Royal | Orange/Black | Orange/Navy. Sizes: S | M | L | XL | 2XL | 3XL | 4XL | 5XL. 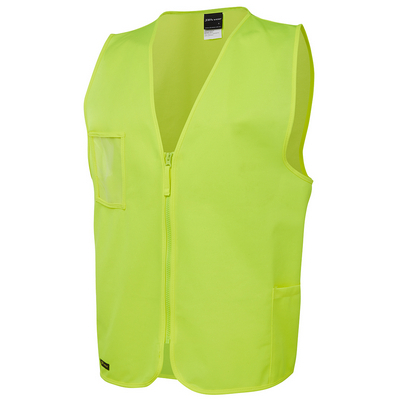 A Classic fit Hi Vis Jacket with ID pocket. Features: Australian Standards Day 2010 2011, Shower Proof, Embroidery Zip/Hook-Pile Tape Closure. Classic Style. Detais: 100% Polyester 300 D with PU coating, Quilted lining with polyfill for added warmth, Water proof rating 3000mm with sealed seams, Sleeve pocket with pen insert, two front pockets and one internal pocket, Chunky knitted rib collar and cuffs, ID pocket at chest, Nylon zipper, Complies with Standards AS/NZS 1906. 4:2010 and AS/NZS 4602. 1:2011 Day Only. Colours: Lime/Navy | Orange/Navy. Sizes: S | M | L | XL | 2XL | 3XL | 4XL | 5XL | 6/7XL. 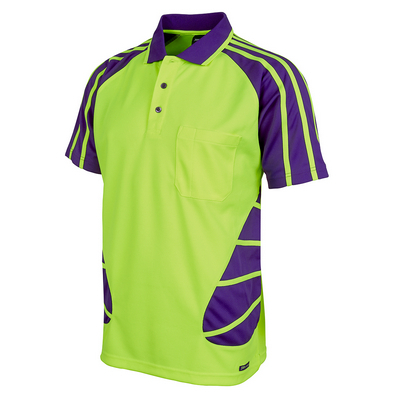 Thoughtful design sees hi vis offset by contrast panels and piping inserts at panel seams in this classic fit work polo. Features: Australian Standards Day 2010 2011, JB’s Dri, UPF Compliant, UPF Sun Protection. Stylish Piping Design. Detais: 100% Polyester for durability, 160gsm micro mesh fabric, JB’s Dri™ moisture wicking fabric designed to help keep you cool and dry, Complies with Standard AS/NZS 4399:1996 for UPF Protection (UPF 50+), Complies with Standards AS/NZS 1906. 4:2010 AS/NZS 4602. 1:2011 Day Only, Jacquard Hi Vis stripe insert collar, Set in sleeves, Reinforced chest pocket with pen insert, Straight hem with side splits, Easy care fabric. Colours: Lime/Navy | Orange/Navy. Sizes: XS | S | M | L | XL | 2XL | 3XL | 4XL | 5XL. 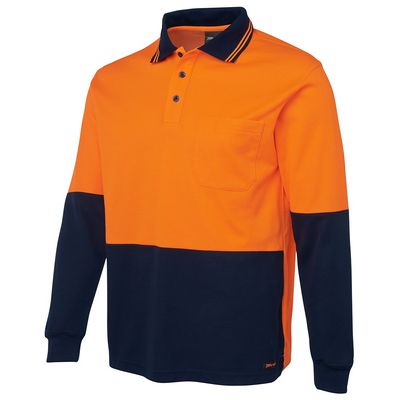 Classic fit contrast panel and piping design polo. Features: Australian Standards Day 2010 2011, JB’s Dri, UPF Compliant, UPF Sun Protection. In the detail. Detais: 100% Polyester for durability, 160gsm micro mesh fabric, JB’s Dri™ moisture wicking fabric designed to help keep you cool and dry, Complies with Standard AS/NZS 4399:1996 for UPF Protection (UPF 50+), Complies with Standards AS/NZS 1906. 4:2010 AS/NZS 4602. 1:2011 Day Only, Jacquard Hi Vis stripe insert collar, Set-in sleeves, Reinforced chest pocket with pen insert, Straight hem with side splits, Easy care fabric. Colours: Lime/Navy | Orange/Navy. Sizes: XS | S | M | L | XL | 2XL | 3XL | 4XL | 5XL. Perfect for cooler months, these classic fit hoodies have full zip-through openings for easy-wear. Features: Australian Standards Day 2010 2011, Hood. Easy to see, easy to wear. Detais: 80% Polyester for durability, and 20% Cotton for comfort, 280gsm fleece fabric, Contrast panel at body and sleeves, Rib basque sleeve cuffs for improved durability, hood with drawcord, Easy care fabric, Two front pockets and pen pocket on sleeve, Complies with Standards AS/NZS 1906. 4:2010 AS/NZS 4602. 1:2011 Day Only. Colours: Lime/Navy | Orange/Navy. Sizes: S | M | L | XL | 2XL | 3XL | 4XL | 5XL. 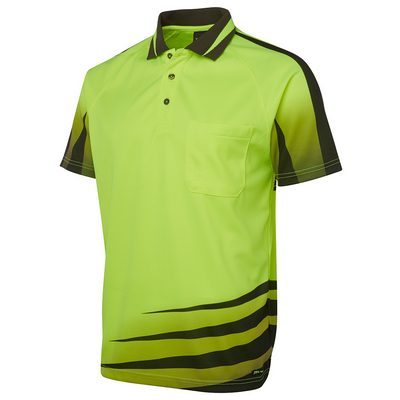 An easy choice for everyday Hi Vis, this classic fit polo features a contrast striped collar and front dust panelFeatures: Australian Standards Day 2010 2011, JB’s Dri, UPF Compliant, UPF Sun Protection. Classic Hi Vis polo. Detais: 100% Polyester for durability, Quick drying, 160gsm micro mesh fabric, JB’s Dri™ moisture wicking fabric designed to help keep you cool and dry, Complies with Standard AS/NZS 4399:1996 for UPF Protection(UPF 50+), Complies with Standards AS/NZS 1906. 4:2010 and AS/NZS 4602. 1:2011 Day only, Reinforced chest Pocket with pen insert, Straight hem with side splits, Easy care fabric. Colours: Lime/Black | Lime/Red | Lime/Bottle | Lime/Charcoal | Lime/Pink | Lime/Aqua | Lime/Maroon | Lime/Purple | Lime/Royal | Lime/White | Orange/Black | Orange/Charcoal | Orange/White. Sizes: XS | S | M | L | XL | 2XL | 3XL | 4XL | 5XL. 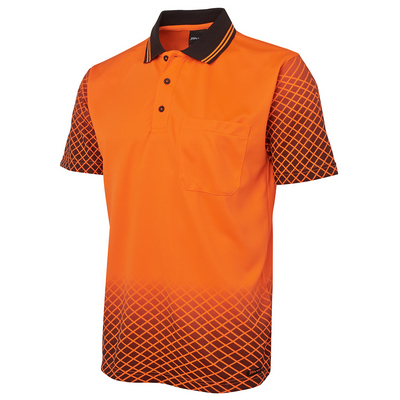 This eye-catching classic fit work polo features a sublimated print and contrast collar stripes. Features: Australian Standards Day 2010 2011, JB’s Dri, UPF Compliant, UPF Sun Protection. Bold Design. Detais: 100% Polyester for durability, 160gsm micro mesh fabric, JB’s Dri™ moisture wicking fabric designed to help keep you cool and dry, Complies with Standard AS/NZS 4399:1996 for UPF Protection (UPF 50+), Complies with Standards AS/NZS 1906. 4:2010 AS/NZS 4602. 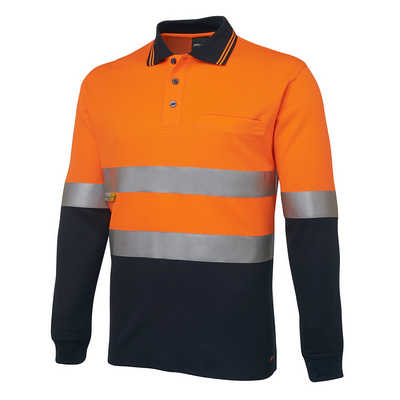 1:2011 Day Only, Jacquard Hi Vis stripe insert collar, Set-in sleeves, Chest pocket with pen insert, Straight hem with side splits, Easy care, quick drying fabric. Colours: Lime/Black | Orange/Black. Sizes: XS | S | M | L | XL | 2XL | 3XL | 4XL | 5XL. 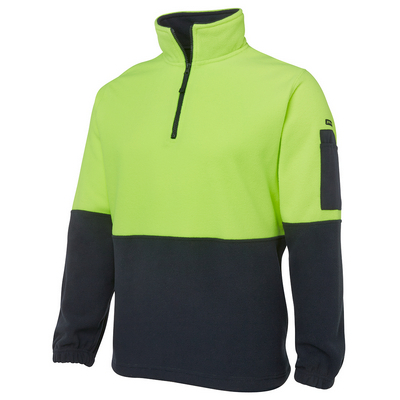 Stay warm in these classic Hi Vis fleeces, which feature a half-zip collar for added airflow and easy on/off. Features: Australian Standards Day 2010 2011. Stay Warm. 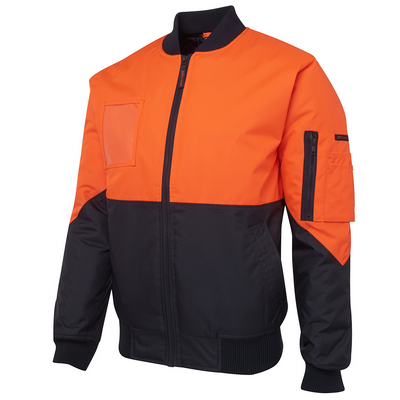 Detais: 100% Polyester for durability, 280gsm low pill polar fleece fabric, Contrast panel at sleeves and lower front body, Two inseam side pockets and pen pocket at sleeve, Elastic bottom hem with adjustable toggles, Complies with Standards AS/NZS 1906. 4:2010 and AS/NZS 4602. 1:2011 Day Only, Easy care fabric. Colours: Lime/Black | Lime/Navy | Lime/Purple | Orange/Black | Orange/Navy | Lime/Aqua. Sizes: S | M | L | XL | 2XL | 3XL | 4XL | 5XL. 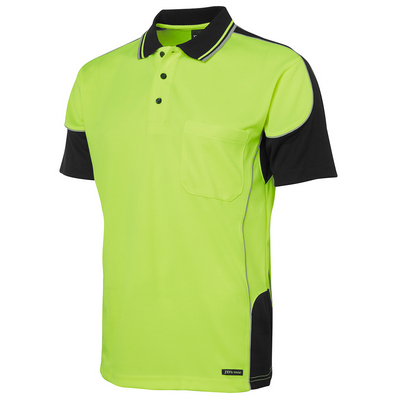 The traditional Hi Vis polo is cut to an classic fit and complete with contrast tipping collar, sleeve cuffs and front panel. Features: Australian Standards Day 2010 2011, JB’s Dri, UPF Compliant, UPF Sun Protection. A smart choice. Detais: 100% Polyester for durability, 160gsm micro mesh fabric, JB’s Dri™ moisture wicking fabric designed to help keep you cool and dry, Complies with Standard AS/NZS 4399:1996 for UPF Protection (UPF 50+), Complies with Standards AS/NZS 1906. 4:2010 AS/NZS 4602. 1:2011 Day Only, Reinforced chest pocket with pen insert, Straight hem with side splits, Easy care fabric, Quick drying. Colours: Lime/Black | Lime/Red | Lime/Bottle | Lime/Navy | Lime/Purple | Lime/Royal | Lime/White | Orange/Black | Orange/Navy. Sizes: XS | S | M | L | XL | 2XL | 3XL | 4XL | 5XL. 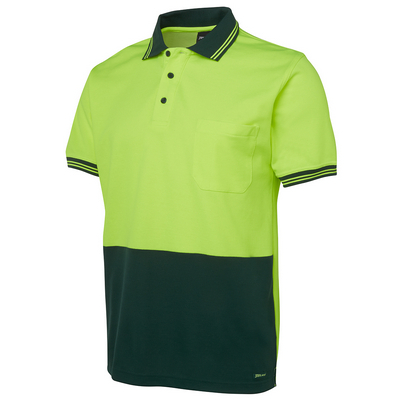 The traditional Hi Vis polo is cut to an classic fit and complete with contrast striped collar, contrast sleeve cuffs and a front panel. Features: Australian Standards Day 2010 2011, JB’s Dri, UPF Compliant, UPF Sun Protection. Visual Impact. Detais: 100% Polyester for durability, 160gsm micro mesh fabric, JB’s Dri™ moisture wicking fabric designed to help keep you cool and dry, Complies with Standard AS/NZS 4399:1996 for UPF Protection (UPF 50+), Complies with Standards AS/NZS 1906. 4:2010 AS/NZS 4602. 1:2011 Day Only, Reinforced chest pocket with pen insert, Straight hem with side splits, Easy care fabric, Quick drying. Colours: Lime/Black | Lime/Bottle | Lime/Grey | Lime/Maroon | Lime/Navy | Lime/Royal | Orange/Black | Orange/Navy. Sizes: S | M | L | XL | 2XL | 3XL | 4XL | 5XL | 2XS | 6/7XL. For extra warmth when you need it, this urban fit, zip-through vest offers easy layeringFeatures: Australian Standards Day 2010 2011. Sleeveless safety. Detais: 100% Polyester for durability, 280gsm low pill polar fleece fabric, Complies with Standards AS/NZS 1906. 4:2010 AS/NZS 4602. 1:2011 Day Only, Front contrast panel, Easy care fabric. Colours: Lime/Navy | Orange/Navy. Sizes: S | M | L | XL | 2XL | 3XL | 4XL | 5XL | 6/7XL. Sporty details complete this classic fit work polo, including raglan sleeves and a sublimated print. Features: Australian Standards Day 2010 2011, JB’s Dri, UPF Compliant, UPF Sun Protection. A strong look. Detais: 100% Polyester for durability, 160gsm micro mesh fabric, JB’s Dri™ moisture wicking fabric designed to help keep you cool and dry, Complies with Standard AS/NZS 4399:1996 for UPF Protection (UPF 50+), Complies with Standards AS/NZS 1906. 4:2010 AS/NZS 4602. 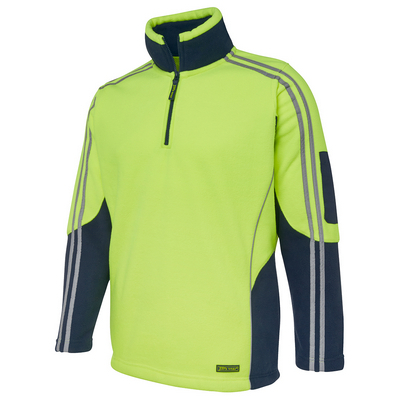 1:2011 Day Only, Jacquard Hi Vis stripe insert collar, Raglan sleeves, Chest pocket with pen insert, Straight hem with side splits, Easy care, Quick drying fabric. Colours: Lime/Black | Orange/Black. Sizes: XS | S | M | L | XL | 2XL | 3XL | 4XL | 5XL. 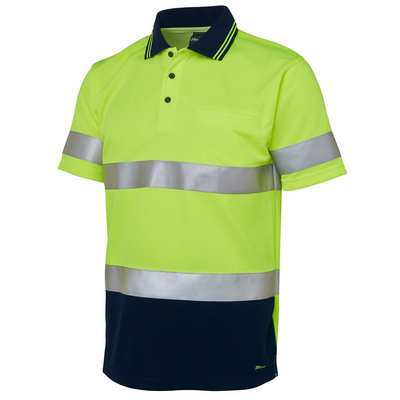 Traditional Hi Vis polo with 3M™ reflective tape for increased visibility. Cut to a classic fit and featuring a contrast striped collar and front panel. Features: 3M, Australian Standards Day Night 2010 2011, JB’s Dri, UPF Compliant, UPF Sun Protection. A Hi Vis Staple. Detais: 100% Polyester for durability, 160gsm micro mesh fabric, JB’s Dri™ moisture wicking fabric designed to help keep you cool and dry, Complies with Standard AS/NZS 4399:1996 for UPF Protection, Complies with Standards AS/NZS 1906. 4:2010 AS/NZS 4602. 1:2011 Day and Night, Easy snip- off stay stitch at welt pocket opening to keep pocket in shape, Straight hem with side splits, Easy care fabric, Quick drying. Colours: Lime/Navy | Orange/Navy. Sizes: XS | S | M | L | XL | 2XL | 3XL | 4XL | 5XL. 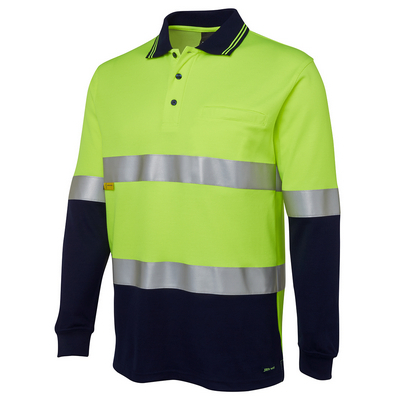 Traditional Hi Vis polo with 3M™ reflective tape for increased visibility. Cut to a classic fit and featuring contrast striped collar and front panel. Features: 3M, Australian Standards Day Night 2010 2011, JB’s Dri, UPF Compliant, UPF Sun Protection. A Hi Vis Staple. Detais: 100% Polyester for durability, 160gsm micro mesh fabric, JB’s Dri™ moisture wicking fabric designed to help keep you cool and dry, Complies with Standard AS/NZS 4399:1996 for UPF Protection, Complies with Standards AS/NZS 1906. 4:2010 AS/NZS 4602. 1:2011 Day and Night, Easy snip- off stay stitch at welt pocket opening to keep pocket in shape, Straight hem with side splits, Easy care fabric, Quick drying. Colours: Lime/Navy | Orange/Navy. Sizes: XS | S | M | L | XL | 2XL | 3XL | 4XL | 5XL. Matching the adults a perfect daytime safety vestFeatures: Australian Standards Day Only. Kids Safety Vest. Detais: 100% Polyester tricot for durability, Complies with Standards AS/NZS 1906. 4:2010 AS/NZS 4602. 1:2011 Day Only, Front flap with Hook-Pile tape closure, Contrast grey binding. Colours: Lime | Orange. Sizes: 0-2 | 4-6 | 8-10 | 12-14. 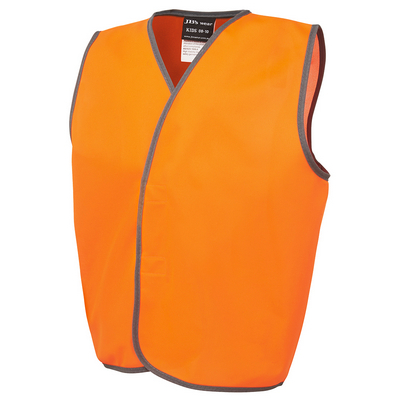 A classic daytime safety vest. Features: Australian Standards Day Only. 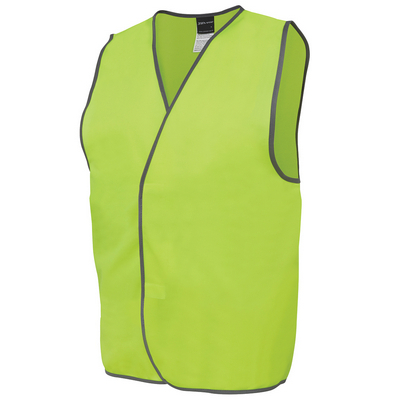 Traditional Hi Vis Vest. Detais: 100% Polyester tricot for durability, Complies with Standards AS/NZS 1906. 4:2010 AS/NZS 4602. 1:2011 Day Only, Front flap with Hook-Pile tape closure, Contrast grey binding. Colours: Lime | Orange. Sizes: S | M | L | XL | 2XL | 3XL | 4XL | 5XL | 6/7XL. Classic fit safety vest complete with ID plastic patch and CF zipper opening. Features: Australian Standards Day Only. Hi Vis Comfort. Detais: 100% Polyester tricot for durability, Complies with Standards AS/NZS 1906. 4:2010 AS/NZS 4602. 1:2011 Day Only, DTM self-fabric binding, Utility pockets at sides. Colours: Lime | Orange. Sizes: S | M | L | XL | 2XL | 3XL | 4XL | 5XL | 6/7XL.